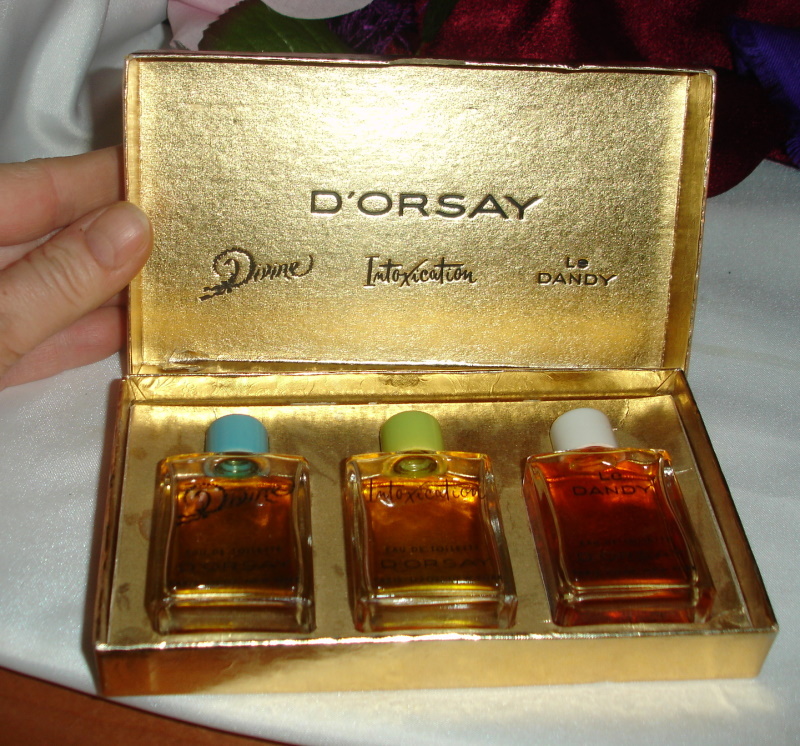 Description: Nice boxed set of three classic D'Orsay perfumes. This was unused, but evaporation has taken its toll over the years. 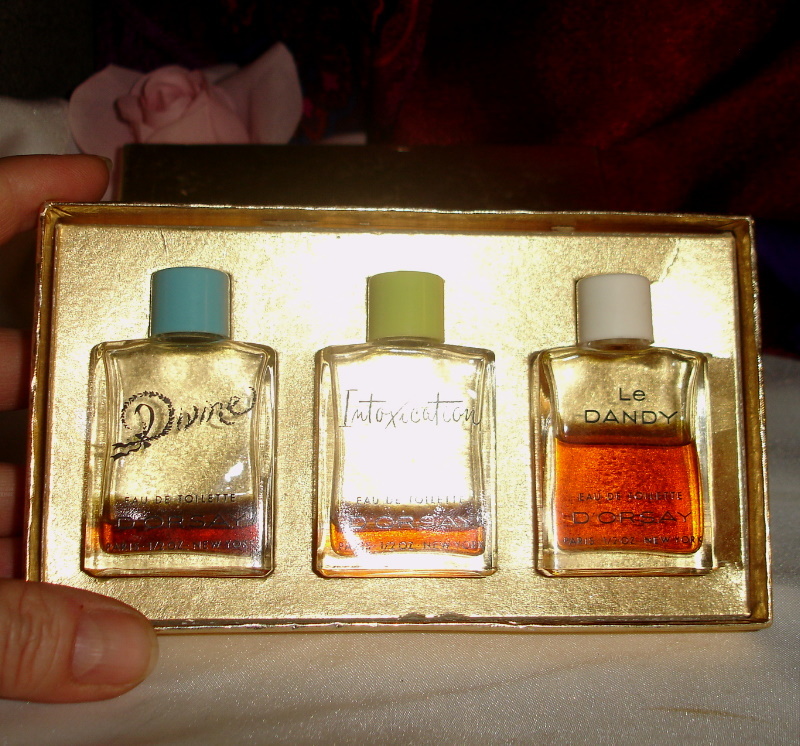 Each bottle is a 1/2 oz size and the amount left varies in each bottle. 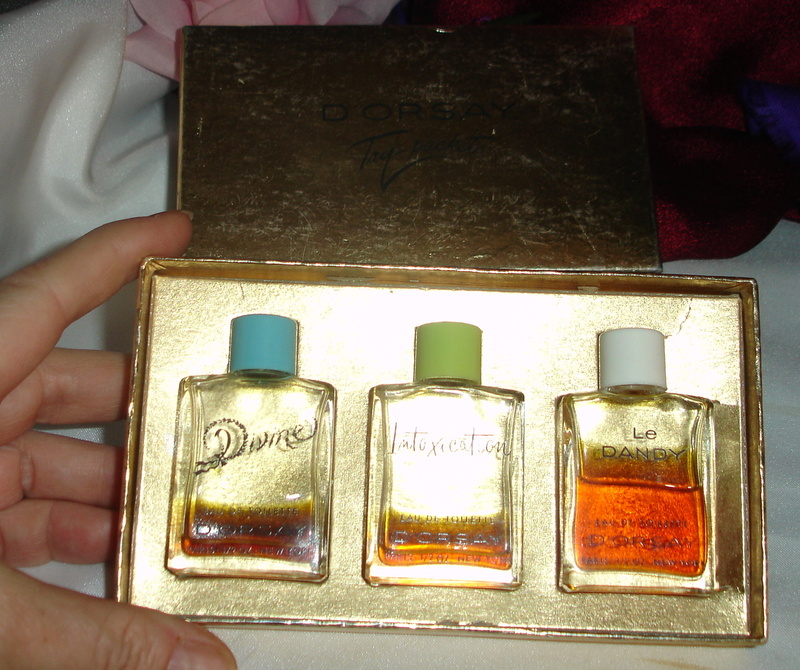 All smell good.